Home AIRBORNE ALLERGIES What Are The Main Reasons That Cause Allergic Rhinitis? What Are The Main Reasons That Cause Allergic Rhinitis? Whenever your nasal passages are highly irritated and inflamed, then it is quite common for you to experience watery nasal discharge associated with itching of eyes and nose, as a result of allergic rhinitis. 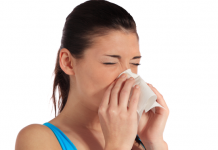 Allergic rhinitis is the most common illness, which can affect almost 20% of total population. The possible effects of allergic rhinitis are usually seen immediately after your exposure to potential allergens. The substances responsible for allergic rhinitis can mainly include dust and animal dander. Even certain seasonal pollen grains are also responsible for several allergic reactions [Preventing pollen allergies]. Mast cell injury is the main reason for causing allergic reactions! 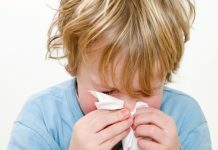 Any allergic reaction can usually takes place when your immune system reacts unusually with those potential allergens. These allergens, when enter into your body, immediately try to gain access in the body, which can be harmful for the normal functioning of your body system. So, your body’s immune system usually tries to reduce this access of allergens. It mainly develops certain protective antibodies called immuneglobin E or simply IgE antibodies. These IgE antibodies usually attacks and engages the access of potential allergens responsible for allergic rhinitis or any other allergic condition. As a result, the mast cells present in your body gets injured. This injury to mast cells mainly initiates the release of certain strong chemicals into your blood and other parts of your body tissues. One of the most common examples for these kinds of strong chemicals is histamines. These chemicals can cause severe irritation and mainly causes itching, swelling and also fluid leakage from cells. Through several mechanisms, these allergic histamines can cause severe muscle spasms and leads to tightening of your lungs and throat, which is commonly seen in asthma. Exposure to pollens can greatly increase the risk of allergic rhinitis! As allergic rhinitis is most frequently caused due to pollen exposure, if the count for pollen is high, then there are high chances for you to get affected with this kind of air-borne allergy. Most of the trees usually pollinate in spring season, while many grass plants typically pollinate in spring as well as in summer. 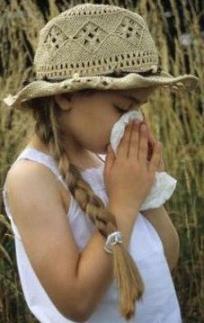 So, it is suspected that the count for pollen is significantly high during these particular seasons [seasonal allergy]. It has been estimated that almost 75% of the people suffering with allergic rhinitis are usually allergenic to ragweed. Even if you are allergic to certain substances like mold spores, animal protein and also to dust mites, then it could be quite obvious for you to develop allergic rhinitis. So, be aware with all these kinds of possible allergens responsible for causing several allergic reactions. Try to take proper self care and preventive measures to avoid several allergic symptoms by seeking appropriate medical advice.